Should you be thinking of upgrading your Server? In less than 6 months time Microsoft will officially end support for Microsoft Server 2003. This includes Server 2003, 2003R2 and SBS2003, thats more than 22 million installations according to Microsoft’s figures for last year! Businesses still running Server 2003 need to consider upgrading to Server 2012 as this deadline will not be extended. After July 2015 Microsoft will stop releasing patches to keep it secure and reliable, and any unpatched Server can put an entire network at risk. 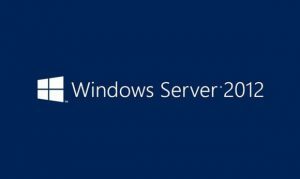 If you’re in need of upgrading from Server 2003 a lot has changed, including over 300 new features and 4 new editions. Upgrading a Server is the most important upgrade to get right, minimising downtime and ensuring no data loss is critical. So if you’re in any doubt about your Server or just need some advice, get in touch today. ← Ransomware – Cryptowall 2.0 Help!